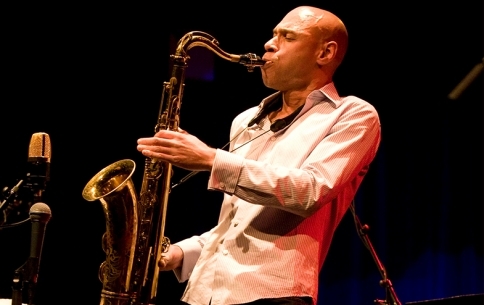 American saxophonist Joshua Redman is one of the most acclaimed jazz artists to have emerged at the end of the last century. With three Grammy nominations and top honours in DownBeat magazine and Rolling Stone polls, he draws on diverse influences so his CV includes performances with The Rolling Stones, B.B. King and Yo Yo Ma as well as the cream of jazz. In Cheltenham he appears with his trio featuring drummer Gregory Hutchinson and bassist Reuben Rogers. This performance is part of our Trios with a Twist series, to view other events in the series click here.